The Right Brain: Nails At 12" O.C. This reminds me of when I first started working construction in the summers with my dad when I was about nine years old. 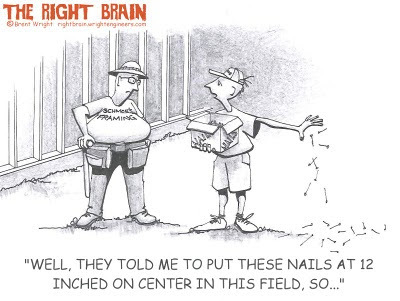 One of my first assignments was to pick up all the straight nails that had been dropped around the job site - for 5 cents an hour.